very very tempting to pick these up. I live in Kennett Square. Did you have them on a crew cab? This type of issue has been discussed numerous times on the forums. I have the suspension maxx leveling kit(not the 2.5 inch kit) and the relocatIon bracket is easy to install. I didn’t go to the dealership for them to install or adjust anything and I have gotten any codes. I would help but I’m in PA, sorry. Has anybody done the paint protection film themselves? How do it go installing it? Where did you get the film from. My only issues is a I don’t have a garage to do it in. i have tinted my vehicle windows in the past, from what I see the process is about the same. New Denali power step leaking oil. Wrong section to list things for sale or free. 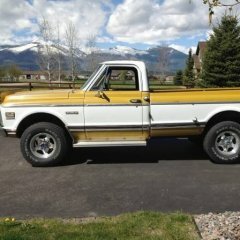 I want a BB tune on my truck but I only have 7,000 miles on it. Not sure I want to void the warranty yet. I contemplate doing a tune several times a week.